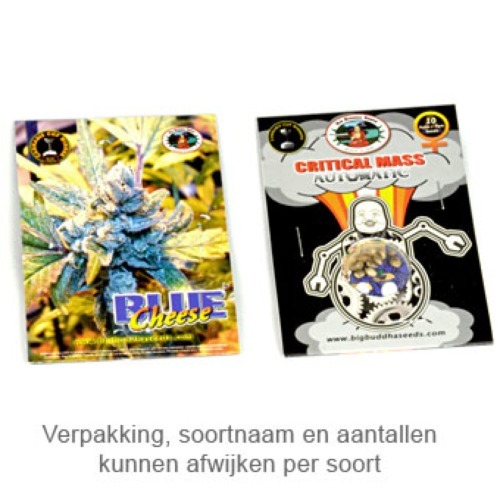 Sour Chiesel from Big Buddha Seeds are feminised cannabis seeds from very good and stable quality. This weed, with recognizable Diesel genetics, is originated by crossing an East Coast Sour Diesel x Big Buddha Seeds Cheese. Big Buddha Seeds Sour Chiesel are weed plants that are suitable for an indoor grow and outdoor grow. When you grow this plant outdoor, she prefers a not too hummid and rainy summer. The taste of smoking this weed is fruity, sourish with a recognizable Diesel taste. Growing cannabis from these feminised cannabis seeds provide you a nice and powerful weed from very high quality. Genetics: Cross from the East Coast Sour Diesel and the Big Buddha Cheese. Cannabis plant with nice and powerful weed of good quality. Flavor: Fruity, sour and the recognizable Diesel. Tell us and our customers what you think of the Sour Chiesel from Big Buddha Seeds.